Home Miss Universe Watch the 65th Miss Universe National Costume Show for As Low As Php500! Watch the 65th Miss Universe National Costume Show for As Low As Php500! Gonna miss the live show of 65th Miss Universe finale on January 30th? Never miss your favorite Miss Universe beauties! You can watch the 65th Miss Universe National Costume Presentation show for as low as P500 on January 24th. "Rest assured that definitely the pageant fanatics will get their chance to buy the cheaper tickets for the National Costume show. As of now, wala pa po tayong venue, because they're still fixing it, but they can get tickets for as low as P500 for the National Costume show." "That's what was promised to the Department of Tourism—that the (fans) can get it for as low as P500. So this is really meant for pageant fanatics, because as we all know, the national costume is one of the shows they really look forward to." We will post the ticket updates very soon! 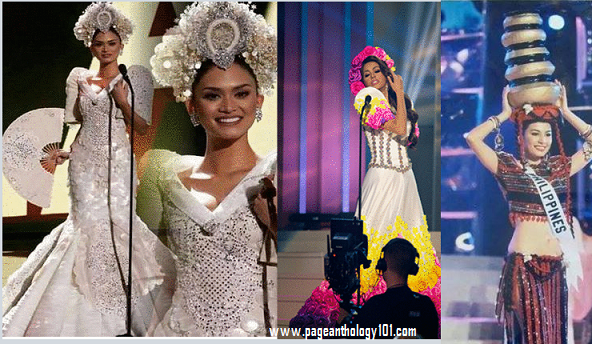 National Costume serves as a symbol and something that distinguishes one contestant from the others. Miss Universe national costumes segment was all started in 1962 when Miss England Kim Carlton in her Beefeater costume won the Best in National Costume award. Did you know that Colombia and Thailand are the two countries that have won the most best national costume awards at Miss Universe?